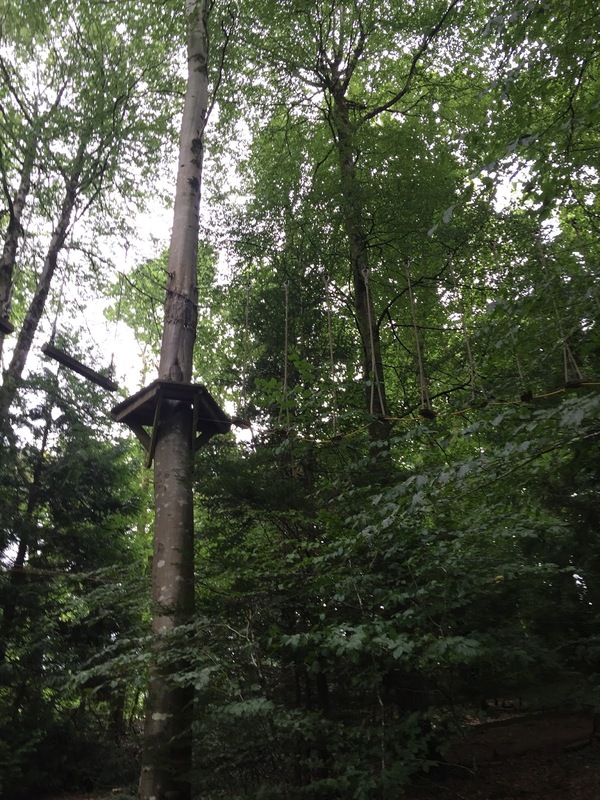 A Day At Tamar Trails – Archery, Zip Lining & Tree Surfing! They say you should do something every day that scares you, as it’s not until you get outside of your comfort zone that is where the magic happens, and how right this statement is! I was invited down to the Tamar Trails Centre on the weekend by DartPR where I had no idea what would be in store, and how I would cope with heights. Despite only being a short drive away from Plymouth, I’d never once heard of Tamar Trails. Who knew that I had been missing out on a whole lot of fun! Tamar Trails is located in the beautiful Tamar Valley, it’s only a short 8 minute drive from Tavistock town, and for someone who really doesn’t like driving to places I don’t know very well, I think I managed quite well. It’s well sign posted too, and I didn’t even have to use my sat nav for the occasion which saved me going down 10 country lanes! Whether you’re an avid walker, tree surfer or just want a fun day out for a party or a family outing, there’s more than enough options for people of all ages to get stuck into! Heading to Tamar Trails for the day was a welcome escape from daily life, it’s also a good opportunity to have an enforced digital detox as the phone signal wasn’t very good, but there is free wifi provided in The Beech Tree Cafe, so you can share with your friends all of the fun things you’ve got up to on you day of adventures! It only costs £2 for the day to park your car at Tamar Trails, which can make it a relatively cost free weekend if you’re just looking to use one of the network of trails for the day or take your bikes down to appreciate the open scenery. 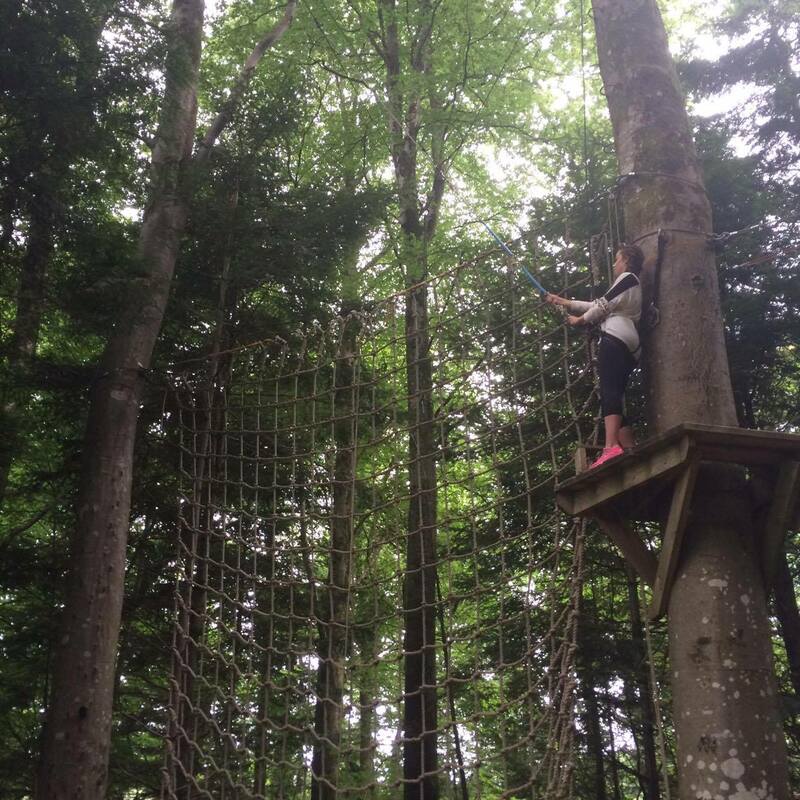 There are a variety of chargeable activities which need to be booked in advance to avoid disappointment, ranging from tree surfing, for adults and for juniors, archery and zip lining. 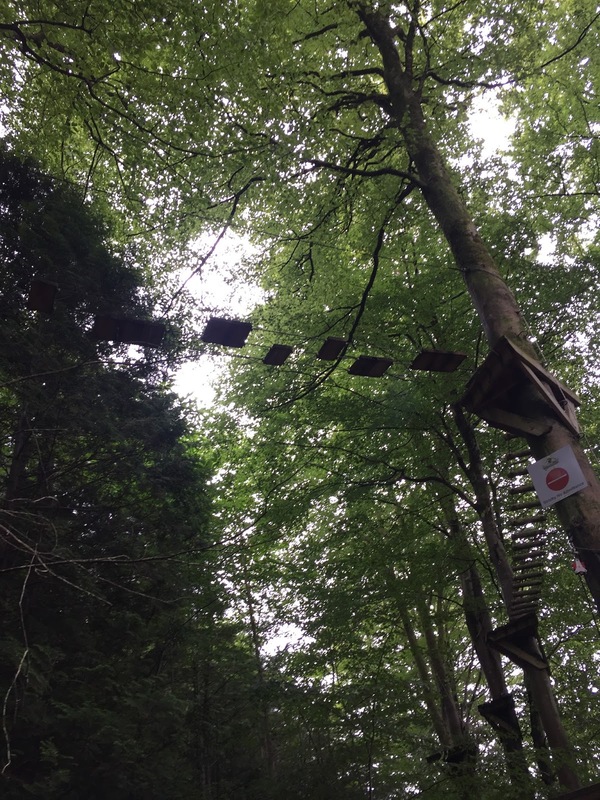 Myself and 3 other bloggers were lucky enough to be able to try out all 3 things during the day, so I can give you a proper run down of what flying through the trees in the middle of nowhere is really like! Whilst we were getting ready for the days activities, we had a mini de-briefing in the wonderful Beech Tree Cafe on the site with Sam from Dart PR after the creator of Tamar Trails, Paul talked us through Tamar Trails and how big it has grown over the years to be as great as it is today. It was a good chance to see what would be in store for us during the day, and of course to sample the delicious drinks in the cafe. 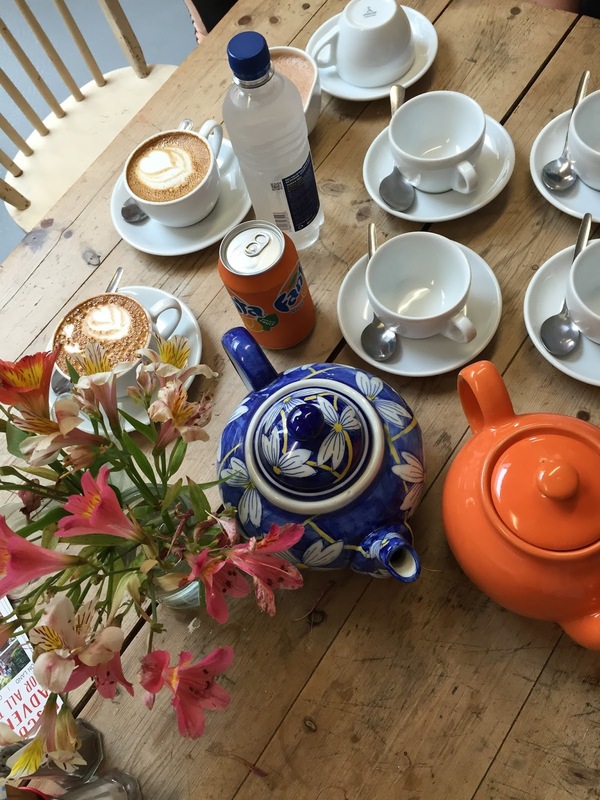 Set in the most picturesque setting, the interior of the cafe couldn’t have been any cuter. With pretty bunting strung up, and mismatched coloured chairs, it was such a cosy atmosphere to start our day off! 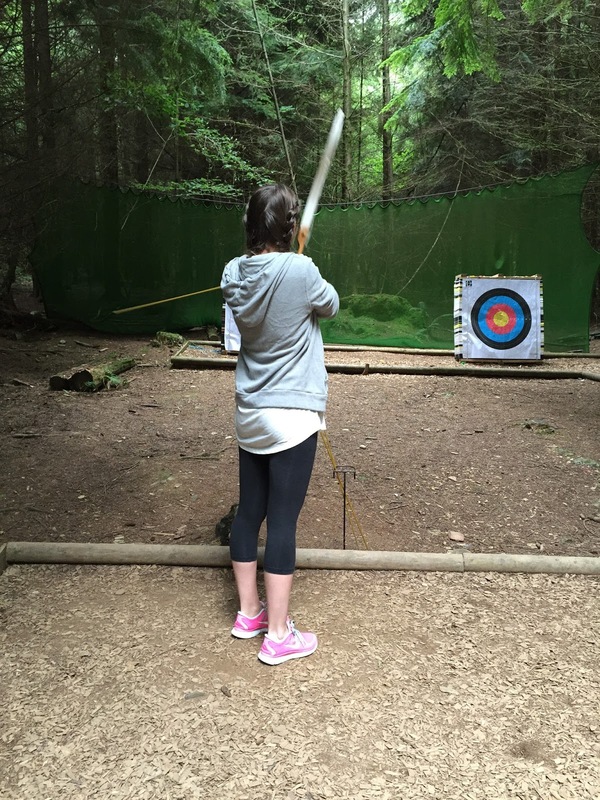 Full with tea and excitement, we headed through the woods to the first stop of the day, archery! The last time I had a go at archery I was in year 7, so I was definitely in need of a refresher class! The lady who took our group was so friendly and helpful, she made a conscious effort of remembering our names from the start which is no easy feat when we were only there for half an hour! We got a fair few goes each and even had a mini archery competition as there was only 5 of us at this stage, Archery is surprisingly easy once you get the hang of it, and I definitely want to try it out for longer another time. 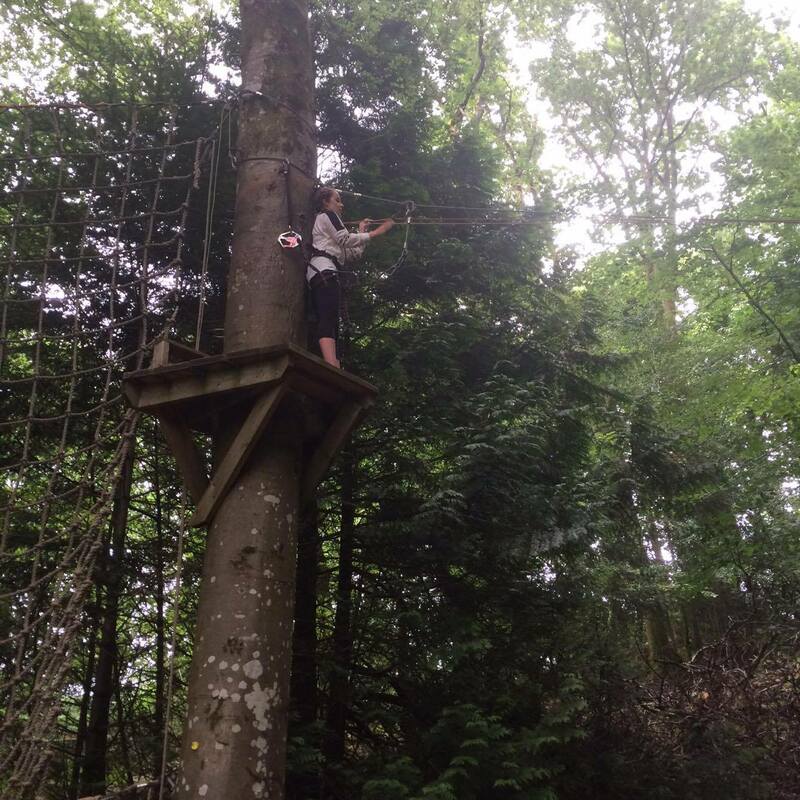 Next up was the tree surfing, I didn’t think I’d anticipated what it was actually going to be like, and I did die a little inside when everyone agreed to try the 2nd, most challenging course to start with, eeek. I’m lucky that I’m not actually scared of heights, but I have a real fear of falling from a high height. Which is silly I know, as you’re safely strapped in to the equipment, but those doubts did start to sink in when I found myself climbing the most narrow ladder I have ever seen! The course probably took just over an hour, I literally had no idea where time went! There were zip lines, ladders, and ropes along the way, the only thing that kept me going was knowing that I was getting closer to getting my feet firmly back on the ground! Even though this was a very scary thing for me, I felt incredibly proud after completing it and it was something I would never in a million years have tried without finding Tamar Trails. 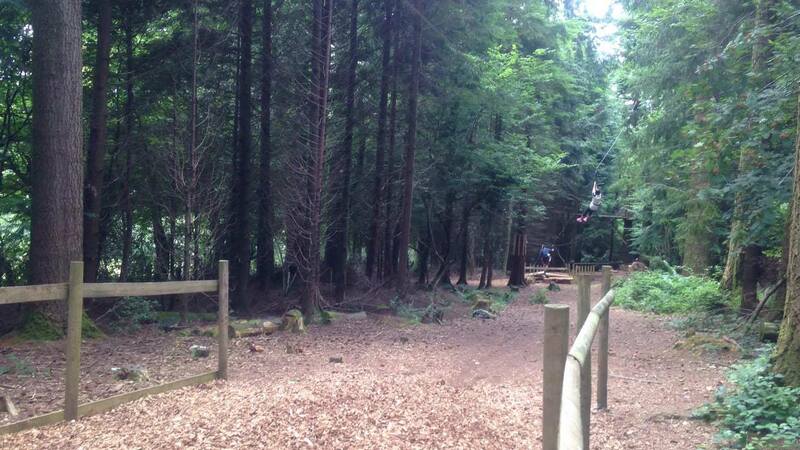 There are 3 different rope courses at Tamar Trails for over 12s, with a junior rope course for under 12s that has only been open a year, but is already a huge hit with younger children. 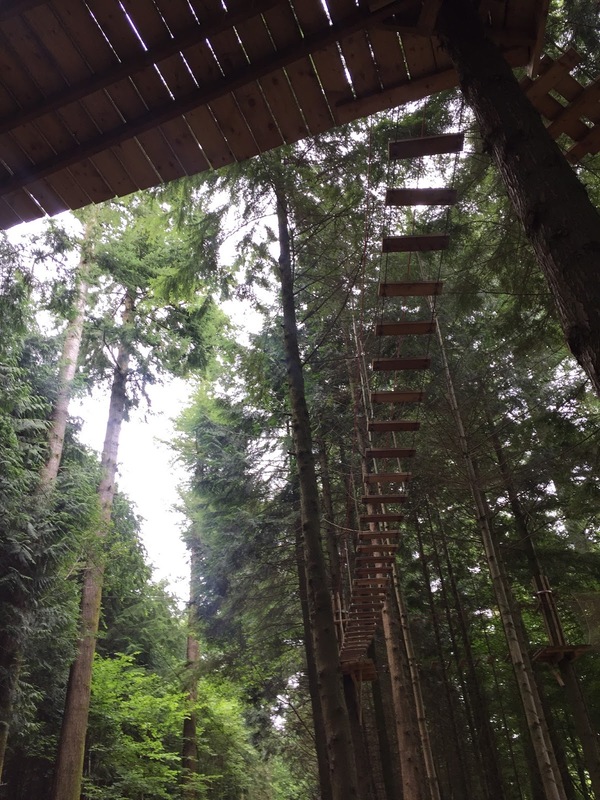 Despite the screams, raising pulses and bruises – I really would recommend anyone to give this a try and get out of your comfort zone, you might just surprise yourself! 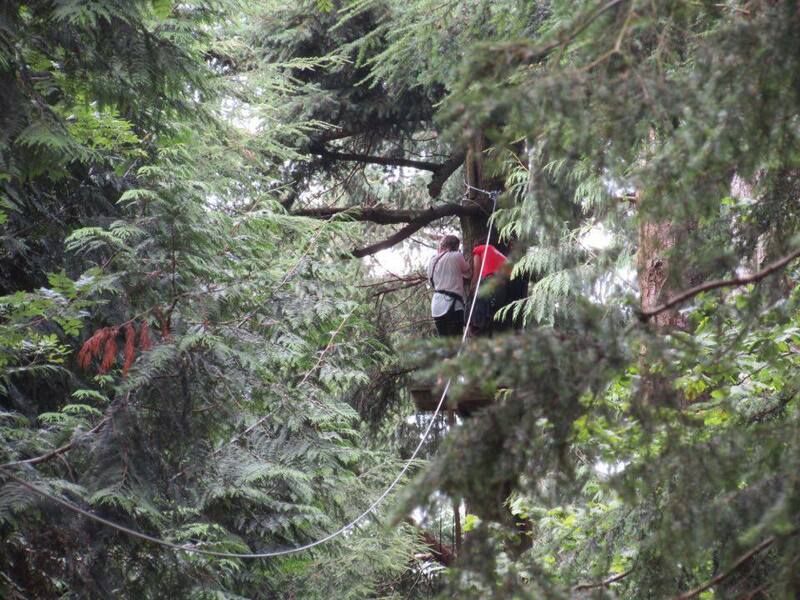 After a scary hour or two it was time to head off to the part I had anticipated the most, the zip wire!! Despite having to climb up one more very steep ladder, I made it to the top and was more than ready for the thrilling descent through the trees! Renown for being one of the best zip wires in Cornwall and Devon, you can see why when there is such stunning views of the Tamar Valley. Although, I must say I was enjoying the ride so much I did forget to look around, oops! It only costs £8 per jump, so I’m definitely going to have to go back and bring my friends! I’ll spare you the video of me screaming whilst doing the zip line! With my feet firmly back on the ground, it was time to head back through the forest to The Beech Tree Cafe after an amazing, exhilarating and scary morning. 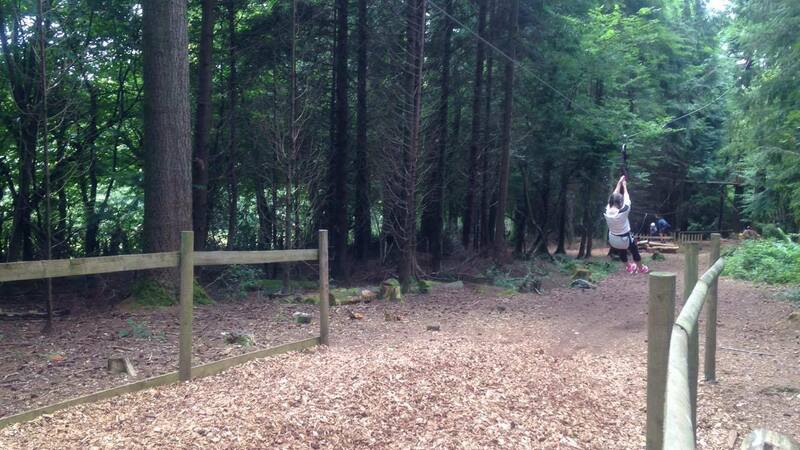 Apparently climbing through the trees all morning makes for some very hungry bloggers! 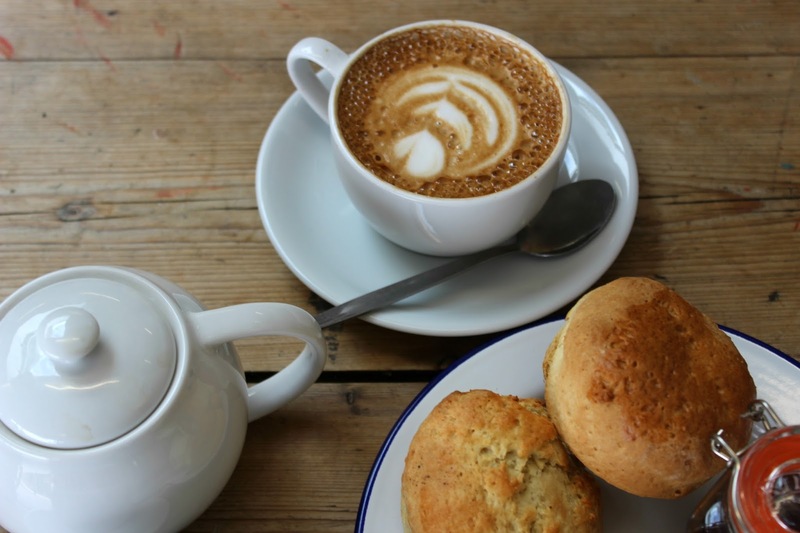 As a fussy eater I always worry about what I can realistically have when I’m eating somewhere new, so I was incredibly impressed by their range of food on the menu, from sandwiches and pasties to sausage rolls. Being the typical British person I am, I opted for a traditional cream tea to share. 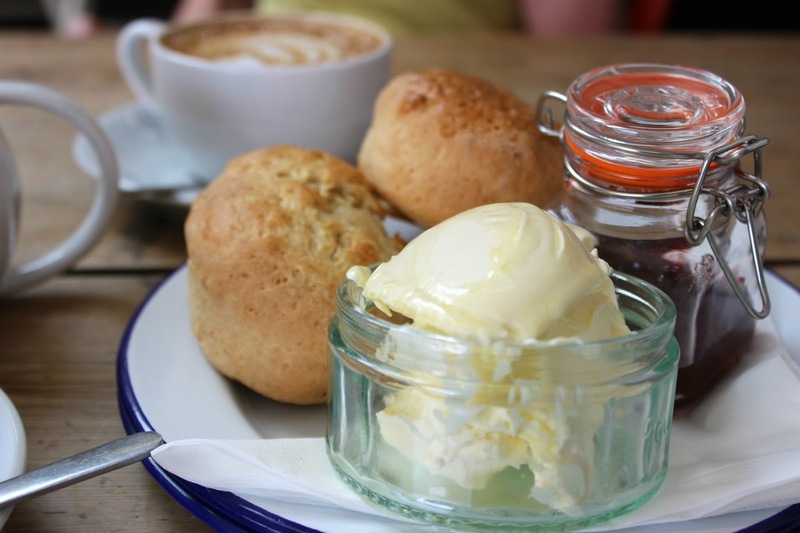 Beautifully presented, the two warm scones came with plenty of jam and clotted cream. The only dispute of the day was do you put the cream or the jam on first? We could have spent all afternoon whiling away our time in the cafe, despite being a Saturday no one bothered us, and the staff were super friendly and attentive. 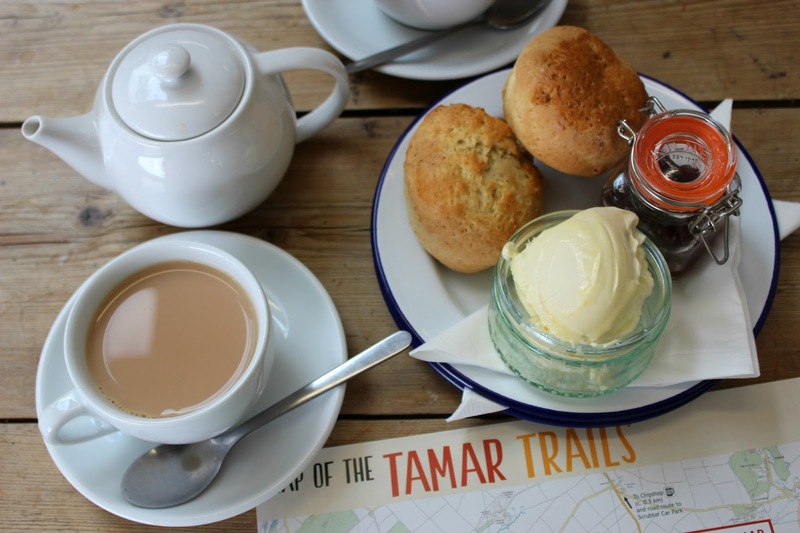 I think I’ll be paying another visit to Tamar Trails again purely because of the cafe! Tamar Trails was an instant hit with me, and our group for the day ranged from young children to my mum (59! ), so there really is something for all ages there! I might even go as far as saying it was one of my most fun weekends of 2016! 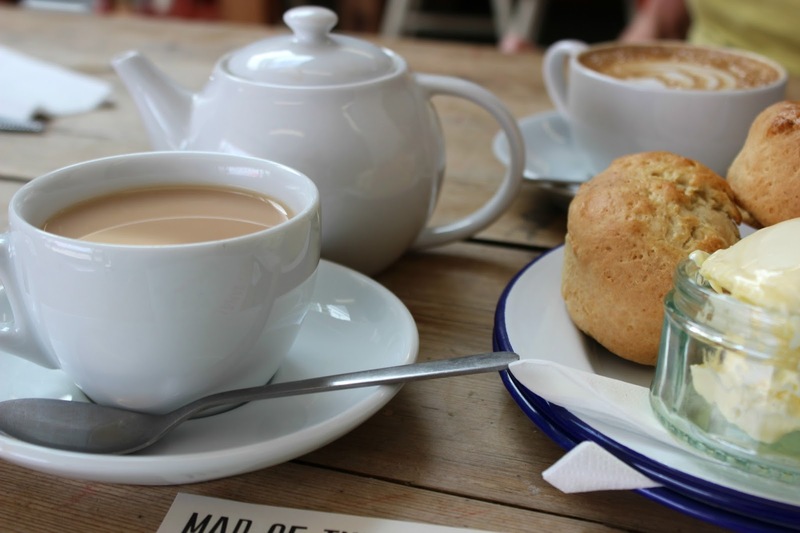 I’ll definitely be heading back soon, even if it’s just to appreciate the beautiful scenery and have a cuppa in The Beech Tree Cafe! I’d like to say another big thank you to Tamar Trails for letting us experience the freedom and excitement for the day, The Beech Tree Cafe for delicious food and drink, to DartPR for inviting us down, and for some of the action shots of me from the lovely Ellie and Becca! 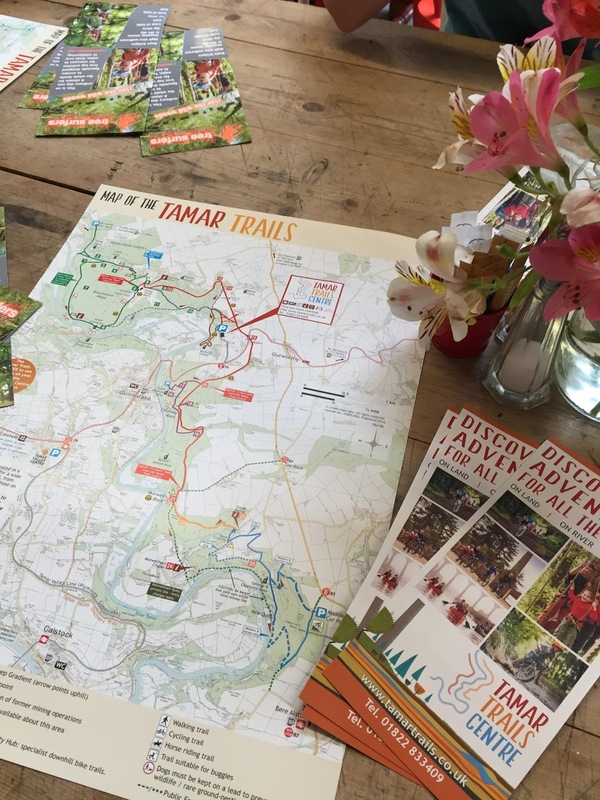 Have you been to Tamar Trails before? Have you tried any of these activities before?